The 6th China Forex Expo was a great success for both exhibitors and attendees. The 7th China Forex Expo will strongly return on May 18th~19th, 2018 at Great China International Exchange Square, Shenzhen China. It gears up for brokers, IBs, affiliates, fintech providers, media, investors, blockchain experts, and companies to achieve a better result in the new year. Here, industry masterminds will share the greatest insight and all attendees can understand better the forex opportunities in one of the biggest and most important markets — China. Also, you will learn how to localize your business, how to be friends with Chinese clients, and how to avoid conflicts because of cultural difference, etc. China Forex Expo is the most professional and influential forex expo in China, covering forex, precious metals, CFDs, stocks, indices, commodities like oil and gas etc, and blockchain applications etc. 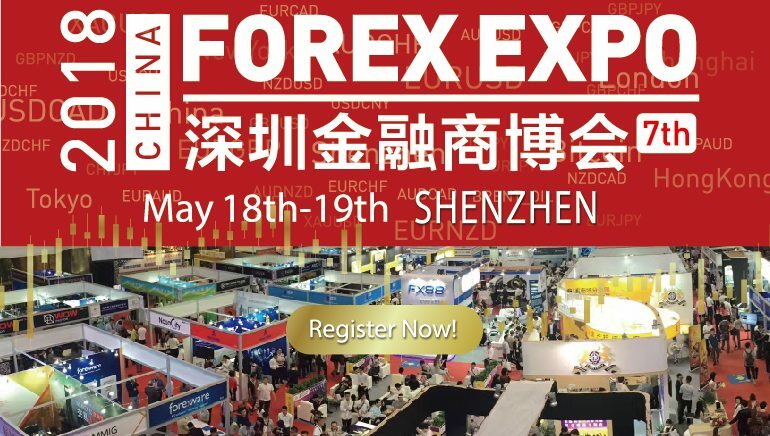 Since the very first event, the China Forex Expo aims at bringing together professional forex market players from different countries and help to get an unrivaled opportunity to promote their products and services to the international market.